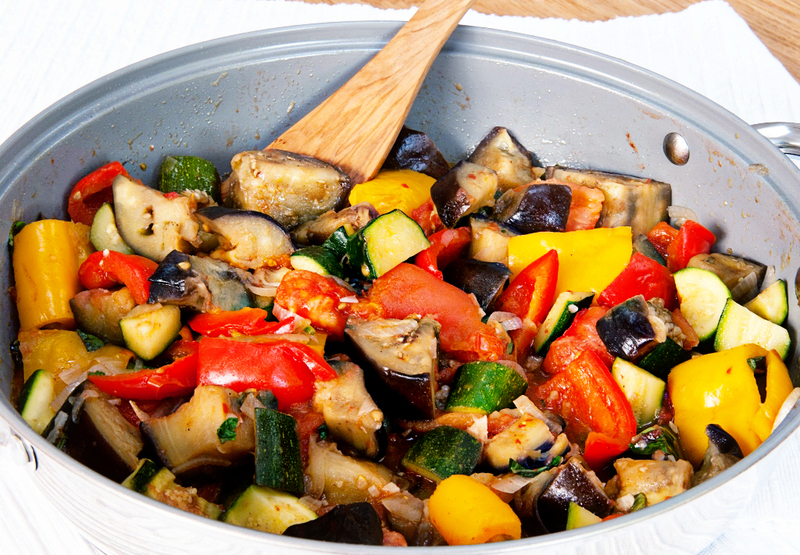 A tasty and super healthy summer stew of peppers, tomatoes, aubergines & courgettes for the perfect taste of Provence. Wash all the vegetables and the basil. Peel and crush the garlic. Peel and finely slice the onion. Top and tail the aubergines. Cut them in half lengthways, then place each half on a chopping board, cut side down, and halve lengthways again. Then cut each quarter into large chunks. Top and tail the courgettes and cut them into 2cm rounds. Halve and deseed the peppers, then cut each half into bite-sized chunks. Score a cross in the bottom of each tomato and place in a bowl. Cover with boiling water and set aside. Warm 4 tablespoons of oil in a large, shallow saucepan. Add the aubergine chunks and cook over a medium heat for 5-7 minutes stirring frequently. Transfer the aubergine to an ovenproof dish. Add the courgettes and peppers to the pan and sauté for 5 minutes. Transfer the peppers and courgettes to the oven dish. Add another tablespoon of olive oil to the pan and sweat the onion and garlic for 4-5 minutes until soft and translucent. Remove the tomatoes from the hot water – the skins should come off easily now. Add the peeled tomatoes, torn basil leaves and chopped thyme to the pan and cook gently until the tomatoes are soft. 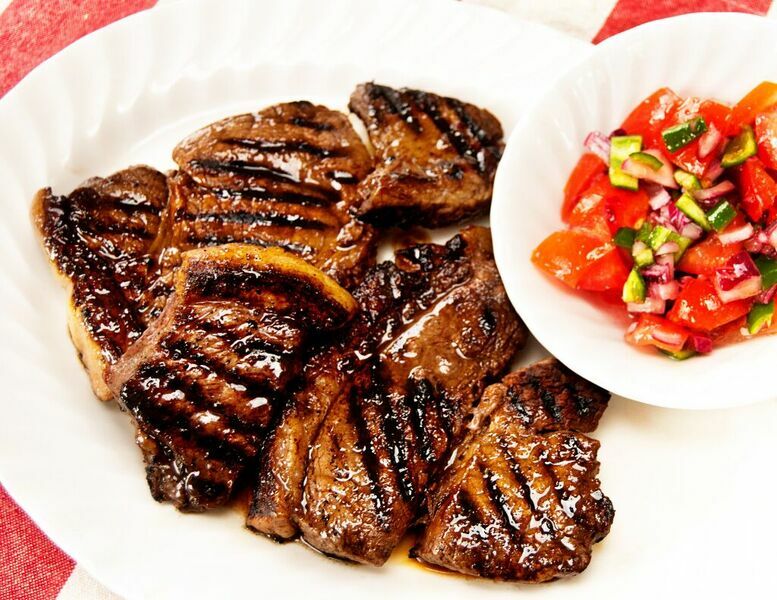 Tip the tomatoes and onion into the oven dish and stir well to distribute among the rest of the vegetables. Season with sea salt and paprika. Transfer the dish to the oven and cook for 20 minutes.